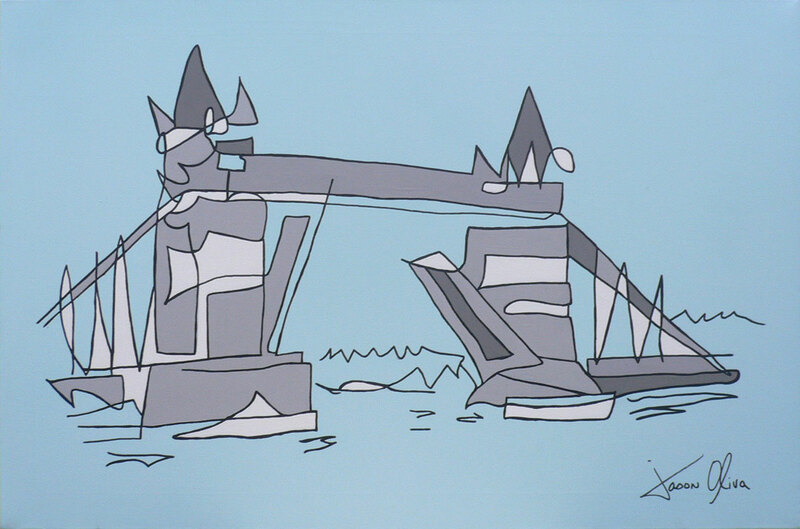 As for the appeal of Tower Bridge … I like its easily recognizable silhouette, it makes for an iconic image. 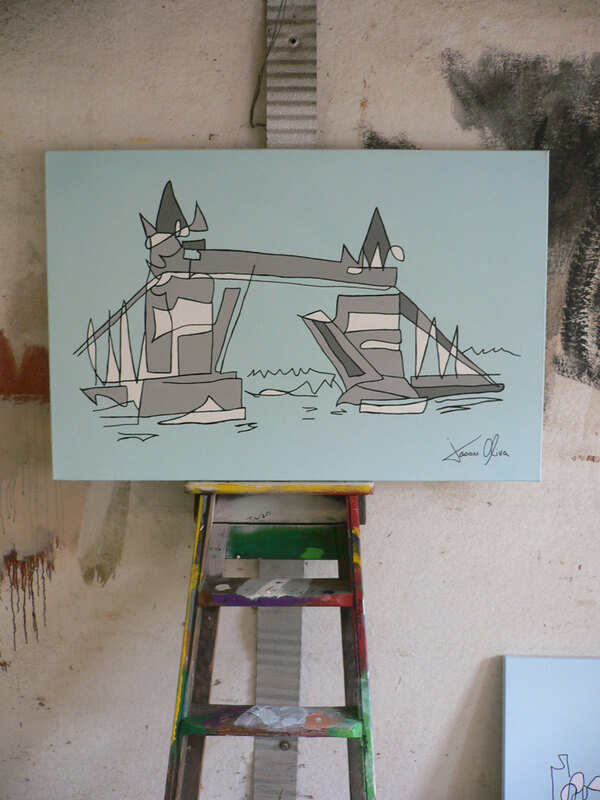 In my mind the image of Tower Bridge screams London long before it screams bridge. All of the metaphors and quotes about bridges seem to be about moving forward and not looking back. But in my life this particular bridge and painting reminds me of walking for miles and miles in a circle, alongside Sophie. Maybe it’s that paradox which compelled me to paint it. Next 'Lipari Twins Skateboarding' – (a portrait commission by Jason Oliva 2009).